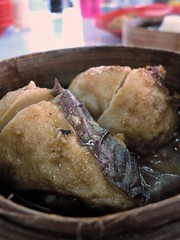 A Whiff Of Lemongrass - A Malaysian Food Blog: Dim sum, Dim sum, wherefore art thou, Dim sum? 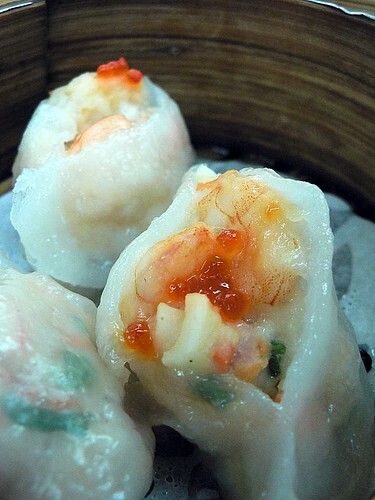 Dim sum, Dim sum, wherefore art thou, Dim sum? Ecstatic Eeyore barged into my room. "We're doing lunch together on Friday! ", he announced. "Restoran Clan in Sri Petaling. 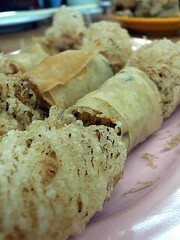 8TV's Ho Chak featured their delicious looking tai bao/loh mai kai! So are you game?" That was like asking the President of the Japanese Food Kawan's Association if she liked sashimi. Ecstatic Eeyore suggested going on a diet to prepare himself for the big lunch on Friday. Ecstatic Eeyore checked and rechecked his schedule to make sure that he didn't have any meeting between 12.30pm and 2.30pm. "Don't forget! Lunch on Friday!! ", Ecstatic Eeyore reminded me. Ecstatic Eeyore walked out of my room in disgust. I made a mental note to not mess with his head until after that lunch. We found the restaurant. A few tables were occupied. We asked for the star item. "Sorry, don't have", the waitress said with a wry smile. ....it was a dim sum place, after all, and since we were planning to have dim sum together with the star item, we decided to go ahead with our plans. The trays laden with dim sum arrived. We weren't about to let a minor setback spoil our day (yes, we're highly positive people), so we picked out our favourites. 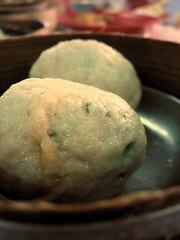 The fried dim sum fared better than the steamed ones. 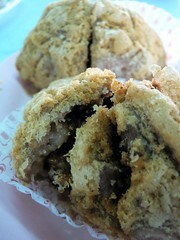 The yam puff (extreme left) was crispy and the filling was substantial. The Hong Kong style chee cheong fun (extreme right) came with a tasty sambal that was rich with aromatic crushed dried prawns. 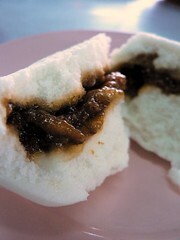 The char siew bao (extreme left) was scant in fillings, while the dough was too thick. 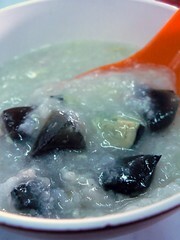 The porridge came with a generous serving of chopped century eggs but it lacked flavour. The brinjal appeared to have been steamed over and over again - probably leftovers from the previous night. The flesh was mushy and tasteless. I almost threw up. Oh wait a minute. I did throw up. After relating my tear-jerker to Boo_licious, she agreed to have breakfast with me on Saturday. It was going to be a replacement of sorts, to get rid of the awful taste from the day before. We also managed to rope in fellow foodies, Precious Pea and Unkaleong to join us at Hong Kee Tim Sum at Damansara Jaya at an ungodly hour of 8.30 on a Saturday morning. I can still hear Unkaleong's whines of "Ohhh....I'm so sleepy!!! Why so early???" *sounds of stretching like a half-dead kitten in the background*. And the food? Everything tasted soooo gooooood. Yes, I am probably biased, having almost died from eating bad food the day before, but hey, it really was good. 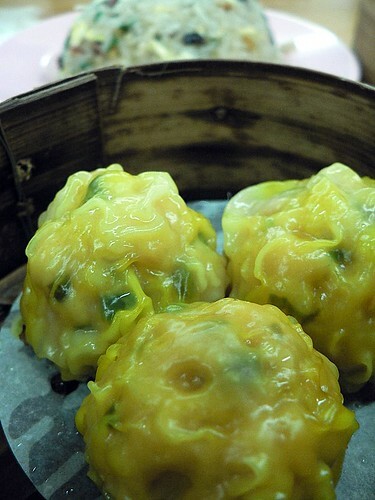 I experienced a burst of flavour as I bit into the siu mai with minced pork filling. The spinach version was equally good too. 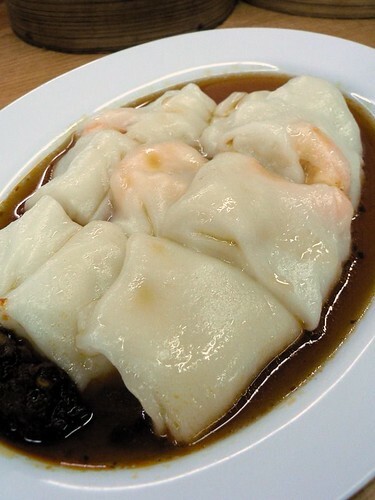 We had the Hong Kong chee cheong fun with prawn filling, and if I were to compare it to the HK CCF which I had the previous day, I'd say that the CCF here is a lot smoother but the sambal did not have the "kick" that the other one provided. We tried an interesting looking dim sum which was essentially fish paste with salted egg yolk filling and coated with almond flakes (3rd row, centre pic). I didn't quite like the combination of the ingredients; firstly, it tasted rather dry, and secondly, the ingredients just didn't blend together. If prizes were given out for the best item on the menu, the Sang Chau Loh Mai Fan (fried glutinous rice) would have ranked tops. 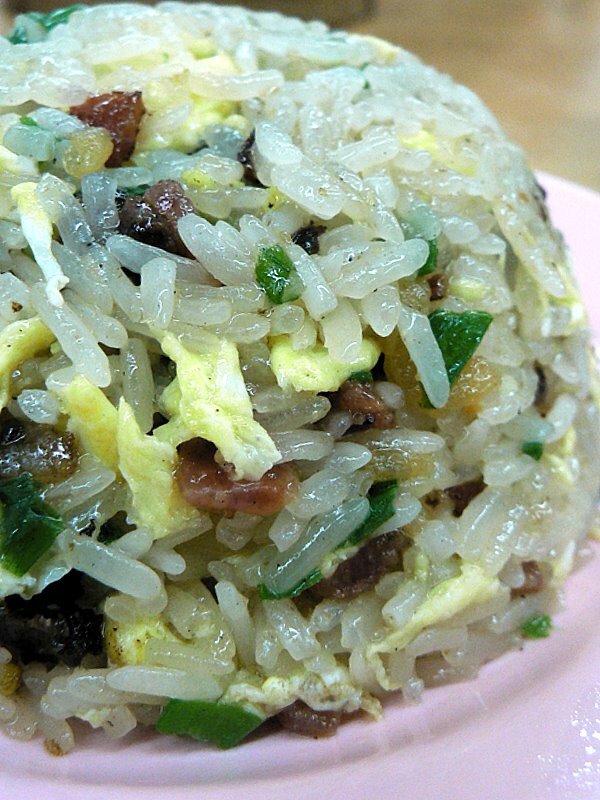 The glutinous rice is painstakingly fried together with bits of lup cheong (chinese sausage), dried prawns, sliced mushrooms, eggs and chive. 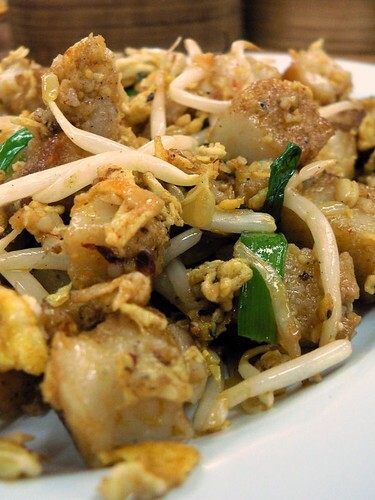 This dish may look rather oily, but it is considerably lighter on the palate as compared to eating loh mai kai (steamed glutinous rice) as less oil is used for the former. 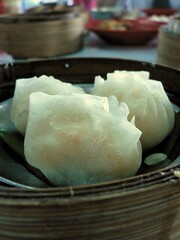 The dim sum is priced between RM2 and RM5 per plate. 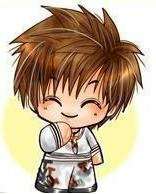 Heh heh, me nombor satu lagi! Ah, you made me crave for lo mai kai. 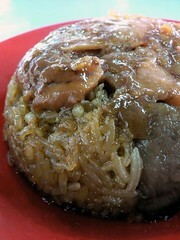 And that Sang Chau glutinous rice looks out of this world -- yumsome tim-sum. Sista, good job! Check out mine yah! 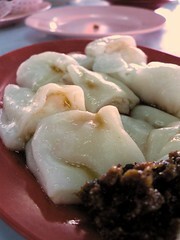 Ooo...how i wish i can have the loh mai fan for breakfast now. I am hereforrre beside thee my love my souuuLL my Julietawhifff no none de eeyore no more not 4evermore thence double faced triple forked tongued hochiak de villian for aint art not only thy true true love await whence our hearts shalt intertwine once more ? tak ajak pun...sad sad sad..
Just kidding lah. For once, I got up late (yes, I'm psycho enough to get up early even on weekends, normally) so I'd missed it anyway. Just as well u're coming to MY soon. You can satisfy ALL your cravings (don't forget our plan for Japanese...men or otherwise) and put on a few well deserved pounds too!! yeps...what pressure to finish on time!! hehe. Had to block out ALL distractions. I love your post. So detailed!! 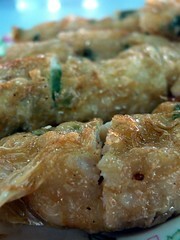 Yah, the loh mai fan for breakfast would be good, but imagine how much we'd have to work out in the gym after that! Hehe...Shakespeare would turn in his grave. Ei, our hearts belum intertwine lagi..why you say "once more" wan? LOL. sorry lah, suami. You stay so far away wan. hahaha. Ya lor...since you tell me EVERYTHING, I did remember that you were not free on Saturday morning. hehe. 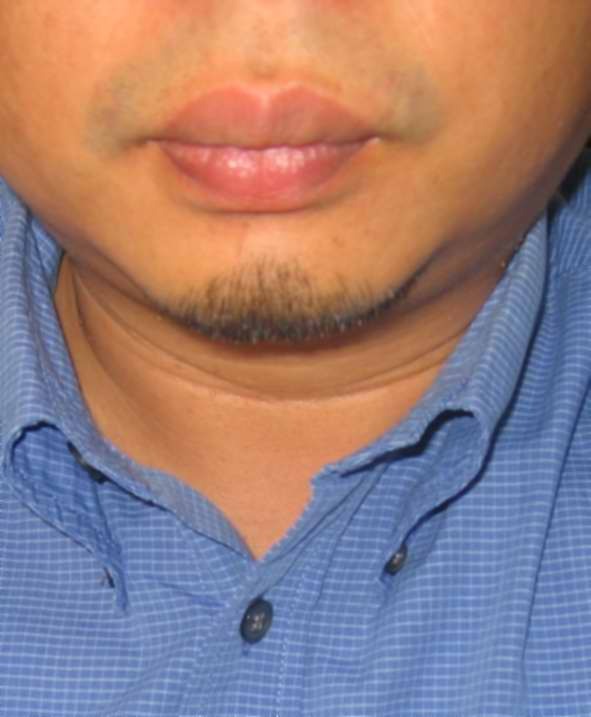 Oi...you're so teruk la...I don't flirt with 70 year-old men!! 50, maybe, but certainly not someone who's lost all his teeth. Anyway, it's called Being Friendly. :-P Yes, I was hoping to learn his trade secret, but it didn't work, did it? Secret ingredient, konon. We gotta find a 60 y-o woman to sleep with him and get that secret outta him. ROFL. Synchronized Blogging? Hahahah...We go there again when I come back yar? 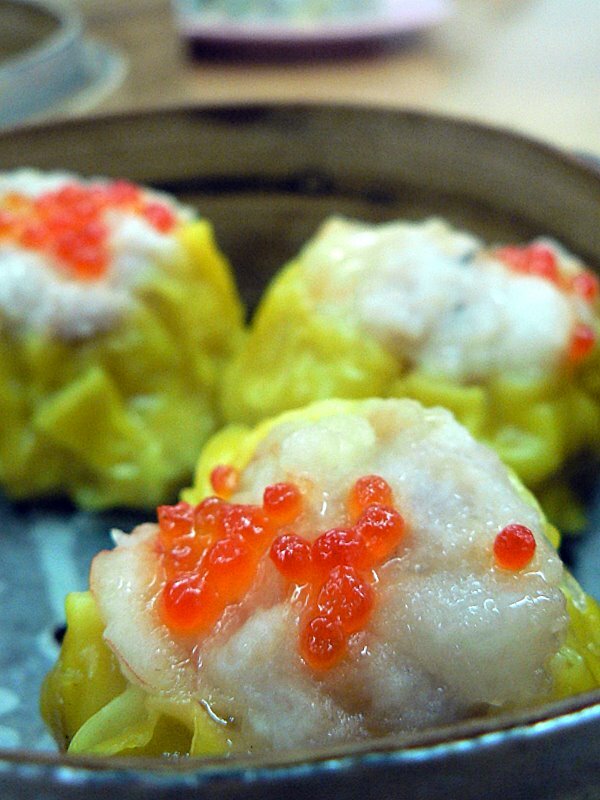 Am surprised to hear about bland dim sum. Never thought it was possible until now! Oh well, at least the meal at Hong Kee more than made up for it! Poor you! I wouldn't wish bad dim sum on my worst enemy! oh, on second thoughts, (was sulking on precious pea's blog), 830 am ah? considering i was hungover on single malt whiskies from the night before, thank you ah, for not calling me. 2 weeks b4, japanese. the last weekend dimsum. lately, the sequenced itemized way of posting and at times compressing 2 places into one. next week? lol. emm, hv a feeling this HONGKY place is cool...will cek it out with my parents...soon. single malt whisky? tak panggil pun!! hmmph. You can bring me along oso. I promise to be nice to ur parents. LOL. hahah ungodly hour? i was on my way to class @ 8.30 chewing on mcds sausage egg mcmuffin...for saturday and sunday!.. wah the food so dirty until a puke ar?.. wat a good way to compare good n lousy dim sums! I'm going to have the lo mai fan...ARMMMM!!! 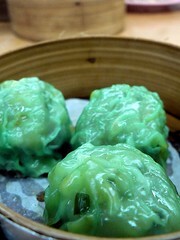 I never even get to have bad dim sum here in the shires...dim sum...what is that dim sum? Eye candy only. no lah, the 2nd dim sum session was a good one. feels like deja vu, doesn't it? hehe. u're quite the lyrical one. 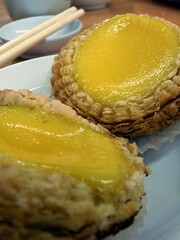 I never thought there would be bad dim sum until I tried it at this place. woohoo... so much of "dimsums" yummy... feel like going to eden for their "dimsums" since they are offering 50% off for this whole month! I am not bulimic. LOL. Bad food makes me throw up. Eating too much also does the same thing. :-P Damn painful man. hehe. yup. 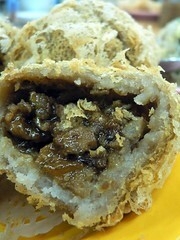 ipoh dim sum damn cun. you think I only eat Japanese food meh! btw, where is that email you promised me? GOF, meet Teckiee. Teckiee, meet GOF. U guys can sing together. It wasn't really compensation since I had to pay for the food both times. hehehe. 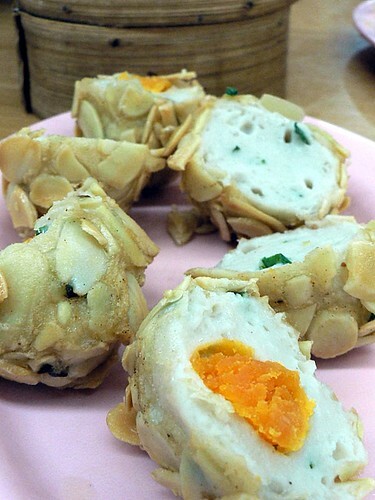 I'm dreaming of that Loh Mai Fan.....so good and yum. Poor you, what a horrible experience. Good job going to recover at Hong Kee though i've yet to find something there that i don't like even the phoenix claw *cough* chicken feet is yummy! No need to dream. Weekend's almost here! hehehe. 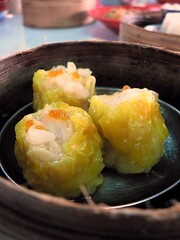 Hi , the photos of the Dim Sum really make me mouth-watering... I like to eat and cooking too ! all the sri petaling tim sum shops are over-rated... i wonder if i've already posted this, but look for the shop/stall along Jalan Lazat in Happy Garden, it's the one at the end of a row of eating places, with the Carlsberg wholesaler beside it. fresher, cheaper, better taste. if u want directions just ask.